The Candy Bomber Studio 1 control room. Candy Bomber opened its doors in 2007, shortly before the last aeroplane departed from Berlin's historic — and now closed — Tempelhof airport. And what better place to operate a studio full to the brim with vintage German and American studio equipment? 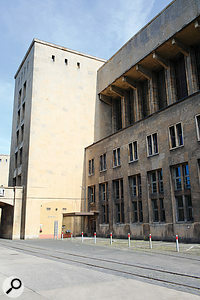 Built during the Nazi era, the building which houses Candy Bomber was once the largest in the world, at a time when Berlin-Tempelhof operated more flights than any other airport in Europe. 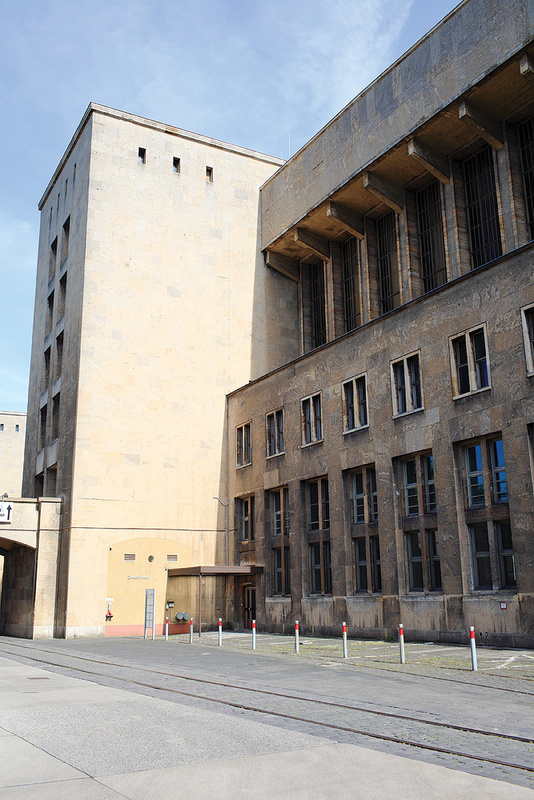 And in 1948/49 it served as the hub for the Berlin airlift, when the allied forces flew over 200,000 flights supplying the Western part of the city with daily necessities. Studio 1's Deutsche Grammophon desk, based on German industry standard V72 and V76 modules, was miles ahead of its time when designed in 1958! Needless to say, the airlift also provided the name for the studio, which set up shop in rooms that previously hosted a computing centre for the CIA, the most important American foreign intelligence agency. In short, the space Candy Bomber occupies embodies many decades of mutual German and American history, and the studio's founders, Paul Lemp and Ingo Krauss, have reflected this in a studio equipment collection based mostly on vintage gear made in these two countries. Studio 2 features a relatively modern Studer desk, augmented by a smaller vintage Neumann 10:2 mixer. The former airport building in which Candy Bomber is housed was once the largest in the world. 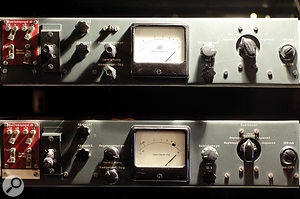 An incredibly rare pair of vintage STW valve preamps. 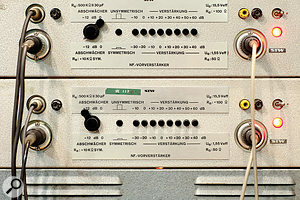 Two of the three Rohde & Schwarz valve limiters in Studio 1. Studio 2's Neumann console, based on germanium transistors. A Federal AM864/U valve limiter in the outboard rack of Studio 2. Paul Lemp is an accomplished composer for film, theatre, dance and performance, while Ingo Krauss previously worked in New York for a couple of years, and also held a job as an engineer in Conny Plank's legendary recording studio near Cologne between 1987 and 2001. The two protagonists brought together their equipment to form one of the most distinctive studio setups in the world. 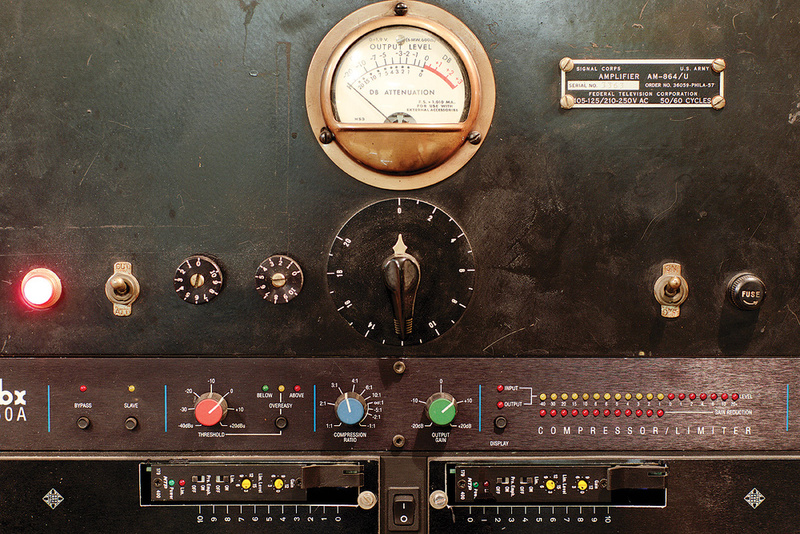 Whereas Ingo Krauss had long been interested in valve-based equipment from the other side of the pond, Paul Lemp began to collect vintage German gear some 30 years ago, when the stuff was literally being tossed out of control rooms all over the country. At the time, very few people seemed to care for these bulky units that were considered obsolete, and which today are held in the highest regard again. Today, Candy Bomber operates two large and a few smaller rooms. Studio 1 serves solely as a control room for mixing and production, whereas the larger Studio 2, with a floor space of 70 square metres, doubles as a control and live room with variable acoustics. 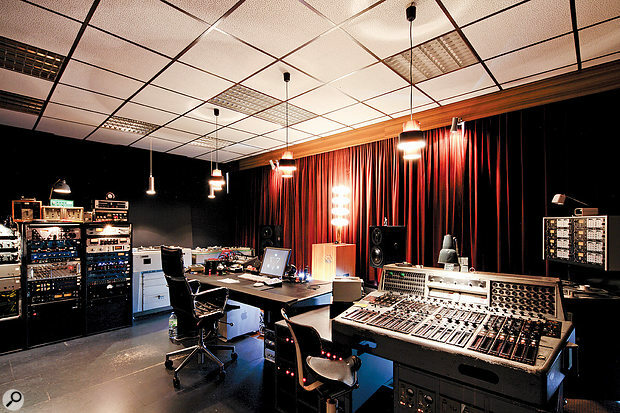 Together, both studios employ three mixing consoles that exemplify different eras of German engineering. 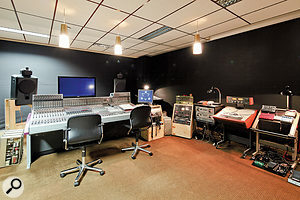 Studio 1 is centred around the only survivor of two or three portable consoles commissioned by the Deutsche Grammophon record company in 1958 to record classical orchestras on location. 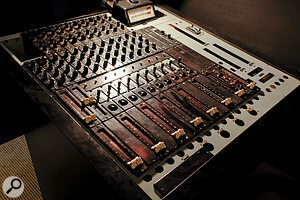 The Candy Bomber console is the former 'Paris-Munich' model, which reportedly did duty on early Herbert von Karajan recordings. Especially for a desk from that era, its layout is truly visionary. 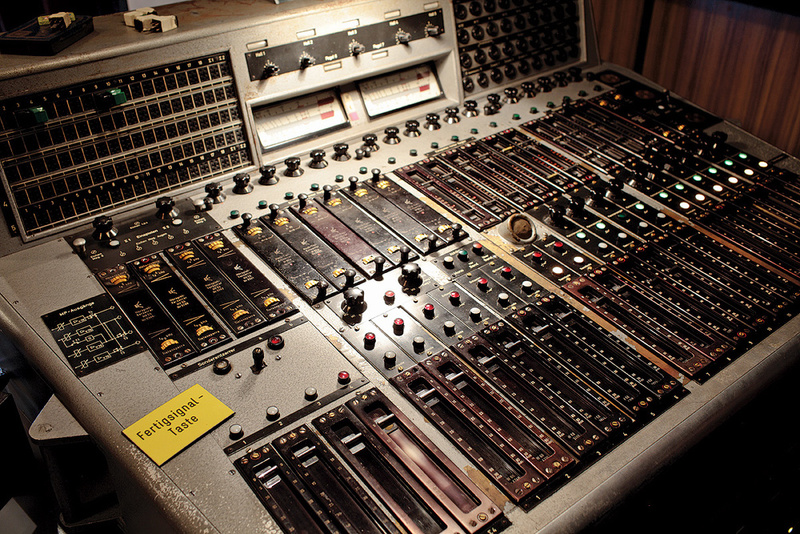 The entirely valve-based console boasts no fewer than 18 input channels, each employing a V72 amplifier module which can be routed to one of four output buses, powered by V76 amplifiers. All channels have a passive Eckmiller shelving EQ above their faders, some channels even have pan pots, and the console offers no fewer than five individual reverb sends — and all this conceived at a time when pop music was still being produced exclusively in mono! By contrast, the heart of Studio 2 is a Studer 990a from Studer's final series of analogue desks. With 32 in-line channels, motorised faders and digital control/recall, it is a very powerful workhorse. 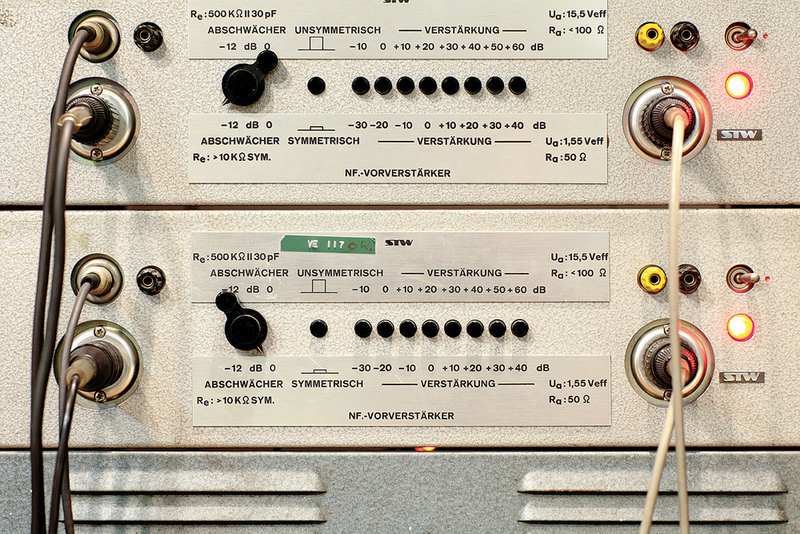 It is accompanied by another console of historic significance, a 10:2 Neumann based on the first series of their germanium transistor modules, including TEVa equalisers and TMV60a microphone preamp/input modules. Candy Bomber's outboard collection is equally stunning. 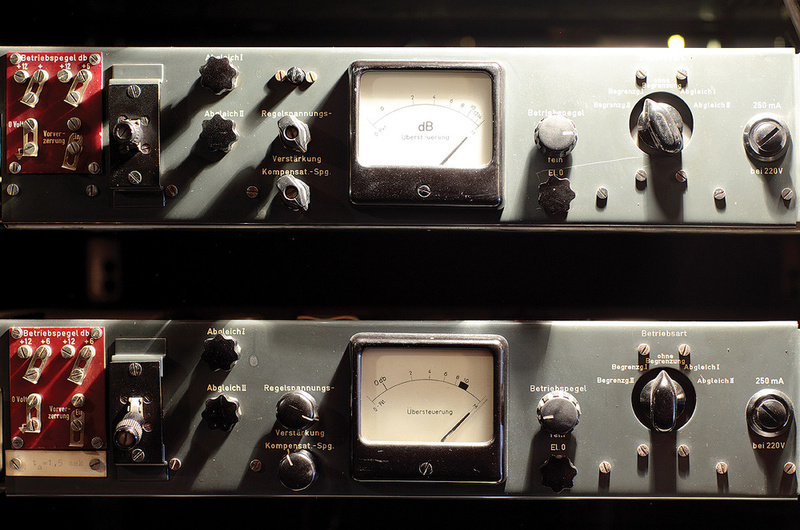 There are some modern Manley, Tube-Tech and API units, as well as a few vintage American valve limiters such as a pair of Federal AM864/U units, a Gates Sta-Level and an Altec 438a. But the main focus is on vintage German gear, mostly valve-based. The outboard racks hold widely known and sought-after units such as TAB V76 mic preamps, Siemens/Klangfilm EQs, no fewer than three Rohde & Schwarz U23 valve limiters, a pair of Maihak V41 preamps, and also more obscure units such as the two STW valve preamps made by a small manufacturer near Stuttgart in the mid-'60s, which Paul Lemp favours as DI boxes for "unbalanced and boring” signals, as he puts it. There are some transistor-based units, including a few Siemens Sitral modules, but Ingo Krauss usually prefers valve equipment: "When I put a vocal through a valve mic, valve preamp and a valve compressor I slowly begin to feel comfortable,” he says. Speaking of microphones, Candy Bomber's lockers hold Neumann classics such as several U67s, M149s and M150s, ribbon mics from Beyer, Coles and Electro-Voice, and a vintage Rohde & Schwarz EZGN measurement microphone that Paul Lemp loves as a room mic. With EMT reverb plates and an AKG BX20 spring reverb, Candy Bomber is well equipped in this area too, and there are also a few classic tape recorders, the most notable probably being a four-track, one-inch, all-valve Telefunken T9c, amongst other Telefunken and Studer machines. Recent clients include German acts such as Tocotronic, Beatsteaks, Die Ärzte, Caspar Brötzmann and Jochen Arbeit (Einstürzende Neubauten), but also international artists such as the Stooges, Gemma Ray, Anton Sword and Larry Mullins/Toby Dammit. All are attracted by Candy Bomber's unique setup and environment, which truly bridges the gap between the past and the present.